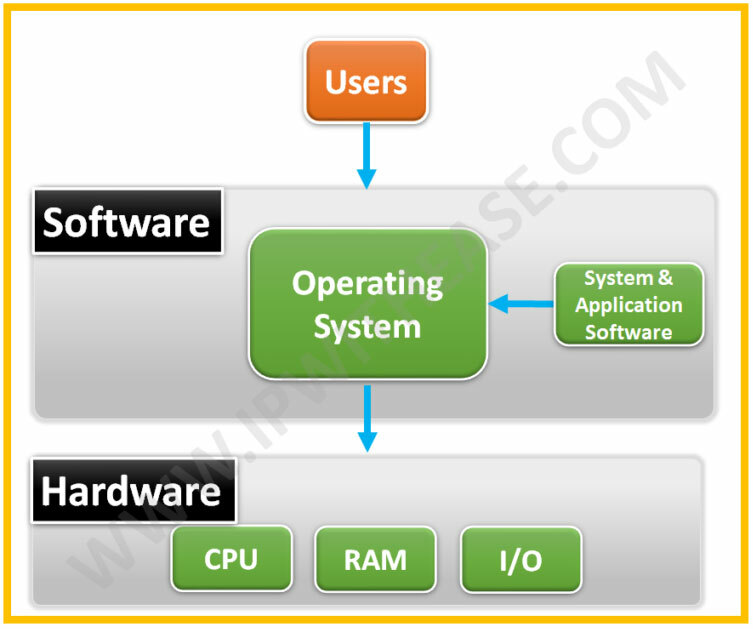 Operating System is an Interface between the user and the hardware and enables the interaction of a computer’s hardware and software. Also, an operating system is a software which performs all the basic tasks like file management, memory management, storage management, process management, handling input and output, and controlling peripheral devices such as disk drives and printers. Infact it acts as mastermind performing multitude of operations and providing required output. Operating system allocates and de-allocates resources. It regulates which process gets the file and for what duration. Also, it keeps track of information, location, uses, status etc. The collective facilities are often known as file system.OS also performs tasks like creating directories and files, copying/moving them and renaming/deleting files. Every program running on a computer is a process whether it is in the background or in frontend. Operating system is responsible for making multiple tasks to run at same time (multitasking). Operating system finds the status of processor and processes, chooses job and its processor, allocates processor to process and de-allocates process when it’s executed. Mastermind is one term we can rightfully use for Operating system. Reason – Operating system performs multitude of functions which only can be performed by super intelligent mind hence the term “Mastermind”. Provides Facility to increase the Logical Memory of the Computer System by using the Physical Memory of the Computer System. Provides Recovery of the System when the System gets Damaged. Operating System controls all Storage Operations. Some of these include – how to store data or files into the computers and how users will access the files. Operating system is Responsible for Storing and Accessing the Files . Creation of Files, Creation of Directories and Reading and Writing the data of Files and Directories and also Copy the contents of the Files and the Directories from One Place to Another Place.